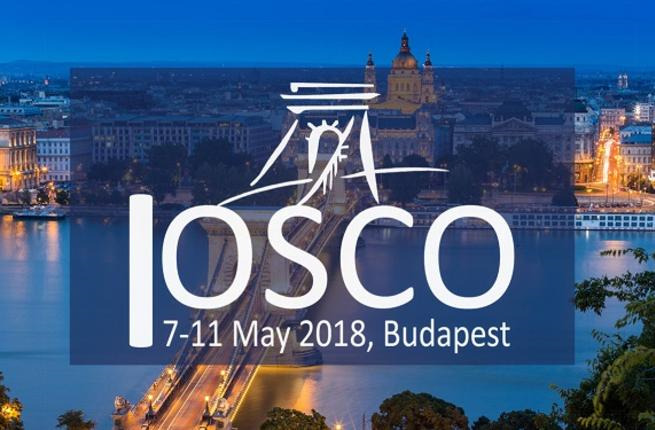 Members of the International Organization of Securities Commissions (IOSCO) met at the organization´s 43rd Annual Conference in Budapest to discuss and address issues facing securities market regulators and supervisors. In their meetings, the IOSCO Board, IOSCO´s Growth and Emerging Markets (GEM) Committee, the four Regional Committees and the Affiliate Members Consultative Committee (AMCC) advanced their initiatives aimed at protecting investors, ensuring fair, efficient and transparent markets, and mitigating systemic risk. The public sessions of the conference focus on four key issues: (1) the sale of unsuitable products to retail investors; (2) the challenges of Fintech and digitalization, (3) the shift from active to passively managed collective investment schemes, and (4) SME access to funding through capital markets. The Board discussed how best to approach the continuing growth of Initial Coin Offerings (ICOs). It agreed to develop a Support Framework to assist members as they consider how to address the domestic and cross-border issues stemming from coin offerings that could impact investor or consumer protection. In the area of asset management, the Board discussed exchange-traded funds and heard from an IOSCO member-led group conducting an exploratory work stream linking any idiosyncratic risks that may arise from ETF structures. It also reviewed the progress of IOSCO’s efforts to complete its work on measuring leverage in investments funds. This work forms part of IOSCO´s commitment to take forward the relevant Financial Stability Board (FSB) recommendations to address potential structural vulnerabilities related to asset management activities. In the area of standards implementation, the Board supported a proposal to assess the consistency in implementation by various IOSCO members of money market fund (MMF) reforms against IOSCO´s 2012 recommendations for MMFs. The MMF reforms are a key component of G20 efforts to transform shadow banking into resilient market-based finance in the wake of the global financial crisis. Members also supported a proposal for a third implementation review of the Principles for the Regulation and Supervision of Commodity Derivatives Markets. IOSCO issued the principles in 2011 to ensure a globally consistent approach to oversight that aims to improve price transparency and deter market manipulation in the commodity derivatives markets. Board members discussed the implications for IOSCO of the European Union General Data Protection Regulation (GDPR), the European data privacy regime that takes effect in all EU member states from 25 May 2018. The Board discussed how the GDPR interacts with information sharing and cross-border cooperation among IOSCO members under the IOSCO Multilateral Memorandum of Understanding (MMoU) on cooperation and exchange of information and it will continue to engage with European authorities to address any issues that are identified as the GDPR is implemented. The MMoU is the primary instrument used by securities regulators to combat cross-border misconduct in financial markets. Board members shared their experiences regarding non-financial reporting, sustainability disclosures and other aspects of sustainable finance in their jurisdictions. They agreed to establish an information-sharing network among IOSCO members to gain insight into the issues around sustainability, including the details of issuer disclosure and its relevance to investor decision making. The Board discussed the work of the GEM Committee in enabling sustainable capital markets in emerging markets. Many GEM Committee members are adopting frameworks designed to foster the growth of sustainable instruments and enhance transparency and disclosure. The Board agreed to launch a Fintech Network to facilitate the sharing of information, knowledge, and experiences related to FinTech among IOSCO members. The Fintech Network also will serve as a forum for collaborative work on regulatory issues, trends, and emerging risks. IOSCO inaugurated a new Board, where the new Board confirmed Mr. Ashley Alder, Chief Executive Officer, Securities and Futures Commission, Hong Kong, as its Chair, and Mr. Jean Paul Servais, Chairman of the Financial Services and Markets Authority, Belgium, as its Vice Chair.